1600 Words a Day is participating in a blog tour for Kenneth G. Bennett's sci-fi/paranormal New Adult thriller. This means all kinds of fun stuff. Today: cover reveal. 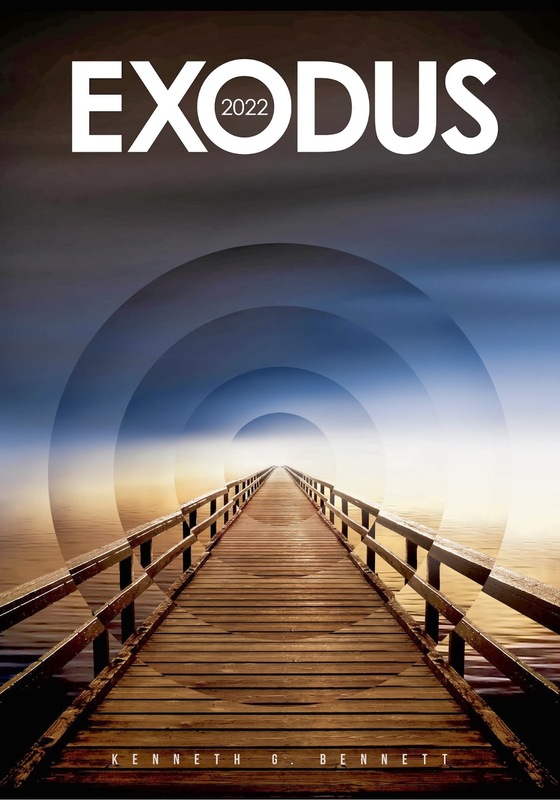 Soon: up to 25 lucky readers could win a free e-book version of EXODUS 2022. SYNOPSIS: Joe Stanton is in agony. Out of his mind over the death of his young daughter. Or so it seems.